"Dormeuil are known the world over for spinning some of the most precious fibres on the planet"
From Kings to Presidents, Hollywood to connoisseurs, Dormeuil continues to dress the world’s elite with timeless elegance. 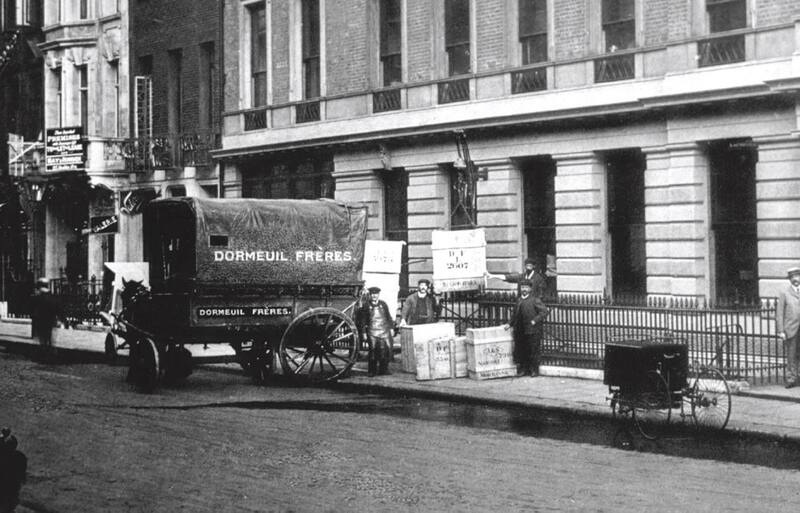 For more than 170 years, The House of Dormeuil has been a world leader in supplying fine luxury cloths. Today, Dormeuil fits comfortably into the world of contemporary luxury, pioneering innovative cloths using the world’s finest and rarest natural fibres. These cloths are developed by Dormeuil’s own design team and manufactured in England, using modern and traditional milling methods. Dormeuil are known the world over for spinning some of the most precious fibres on the planet. Guanashina®, Qiviuk and Extreme Vicuña are just a few of the most magnificent limited edition cloths conceived by Dormeuil. Dormeuil select wool yarns from the very best merino wool farms in Australia and New Zealand. Depending on the seasonality of each particular region, the merino wool predominately is purchased from farms in New England in Northern New South Wales and Tasmania. Some of the more luxurious wools are sourced from New Zealand, hailing from Marlborough country for the most part. From these merino fibres, only the longest are selected. A characteristic resulting from this selection process results in a better lustre in the final weave, achieving a strong light reflection. When using shorter fibres to create yarns, there are a greater number of exposed hairs, which means a cloth will tend to absorb light making it look dull and colourless. To meet with the modern man suiting demands, Made to Measure has grown to become the focus point for businesses world-wide. Dormeuil has a tradition of supplying the best tailoring houses, from Italy to Japan. In Australia, the partnership between Dormeuil and Oscar Hunt has been long standing. Oscar Hunt is important to the Australian market as it bridges the gap between ready to wear and tailor made suiting. Oscar Hunt is driven by unmatched service and great affordability; which when coupled with the extensive cloth range offered in Dormeuil’s collection makes for a seamless experience.